A mixture of enjoying biking, alpine romance, history and geology makes a guided excurse in the mountains unforgetable. Every Monday. From April to end of September 2019. Maximum group size is 6 people. 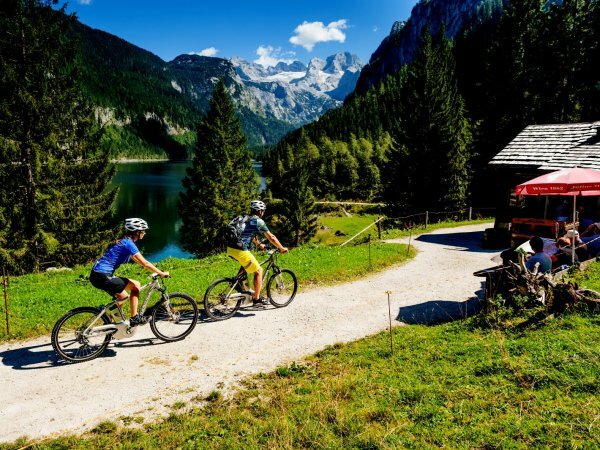 About 1.500 kilometers of e-bike tours are available in the area around Gosau, along the trails there are more than 10 alpine pastures with catering and a huge variety of sights which can be experienced. With good planning and local knowledge many places can be reached due to the great reach of e-bikes. 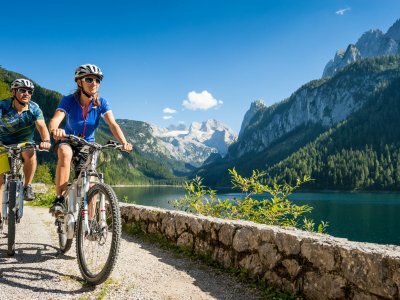 E-bike plus with local guides: with a lot of experience, our local mountainbike guides combine sport and adventure. A mixture of enjoying biking, alpine romance, history and geology makes a guided excurse in the mountains unforgetable. Our guides guarantee to bring home the best possible experience of the common tours.